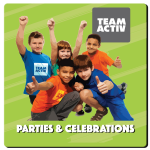 Team Activ create bespoke and memorable Childrens Parties & Celebrations for all ages and occasions. As events specialist, are experienced in ensuring that each & every guest leaves your celebration wanting more. 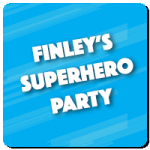 Our celebrations can be arranged at a venue of your choice, with themes and activities tailored for you. For fun, safe, healthy competition, team working and problem solving challenges, with laughter, adventure and thrills, contact us for a personalised quotation.